My last post had such a lovely reaction from my few faithful readers and also brought a couple of questions via email from my non-Wordpress readers – that I thought I’d try a brief explanation of the different types of flowers I make and especially how I make hand rolled flowers. 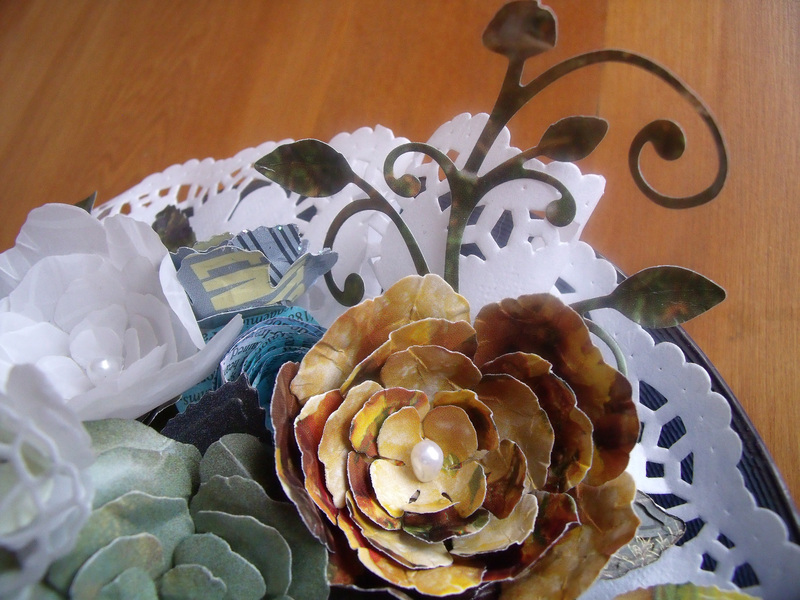 I make so many flowers – mainly due to the absence of mojo – that last Easter I put some into a bowl and made a little centrepiece for my table. It still survives, mainly as Orlando has no interest in it due to the fact that these flowers don’t smell pleasing to him. They don’t smell at all. 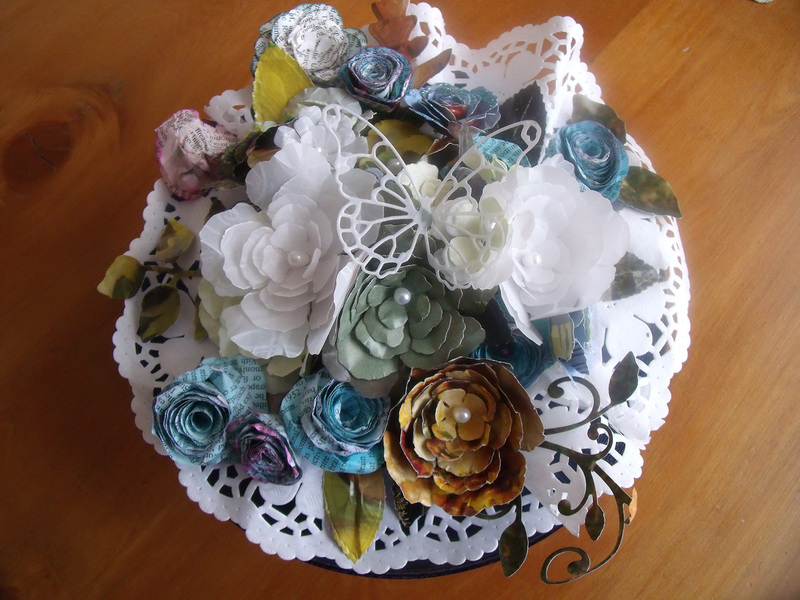 This is a good example as it has lots of different kinds of flowers made with different kinds of paper. Some time back when YD and I made a trip to the local junk shop, we scored big time in the book section. We picked up some big books – almost A3 size – a cook book, a Kaffe Fassett knitwear book and a travel book. All glossy pages and fully and colourfully illustrated. The books were 50 cents each. I also scored an old Brittanica Encyclopaedia [B] which is the mother-lode really, for 20 cents! These books were made to last forever, they are made with high grade paper and high quality inks. The pages don’t discolour or bleed or degrade with time. I use this book paper for all my pages that want to have words somewhere in them and I have not made a discernible dent in the density of the book yet. 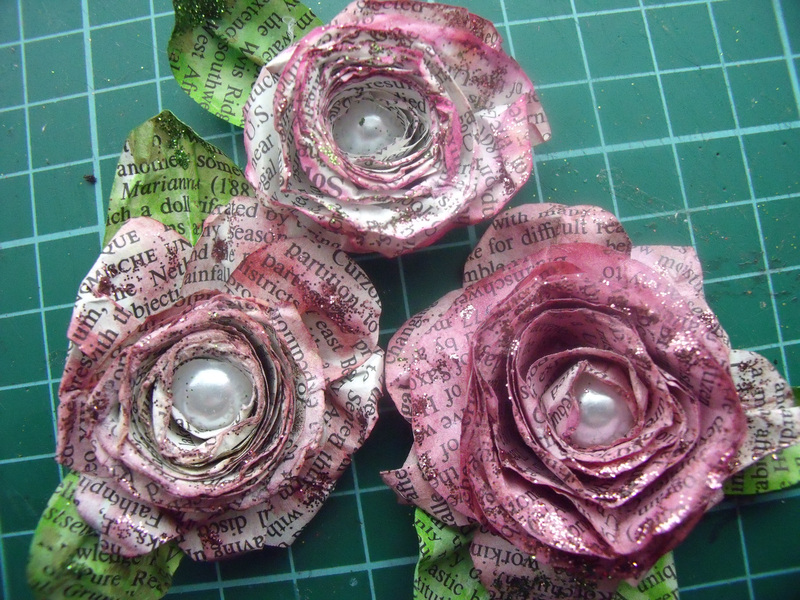 The other three books are my suppliers for the ready coloured flowers. 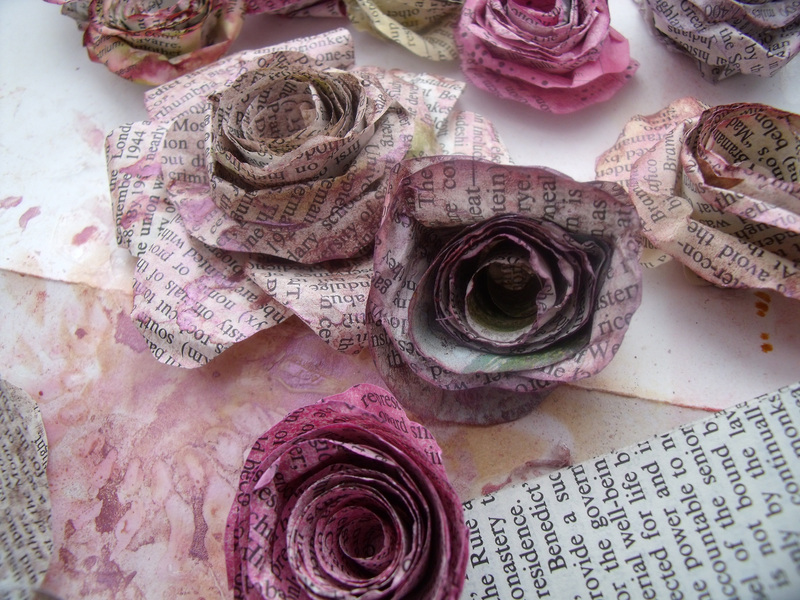 I have to admit that as a book-o-phile I was quite challenged at the thought of tearing pages from a beautiful book to make flowers, but once the first page was torn and the first flower made, I was on the road to hell! The pic below stars a suitably autumnal flower made from the cookbook. Cut your book pages into circles. The bigger the circle, the bigger the flower. 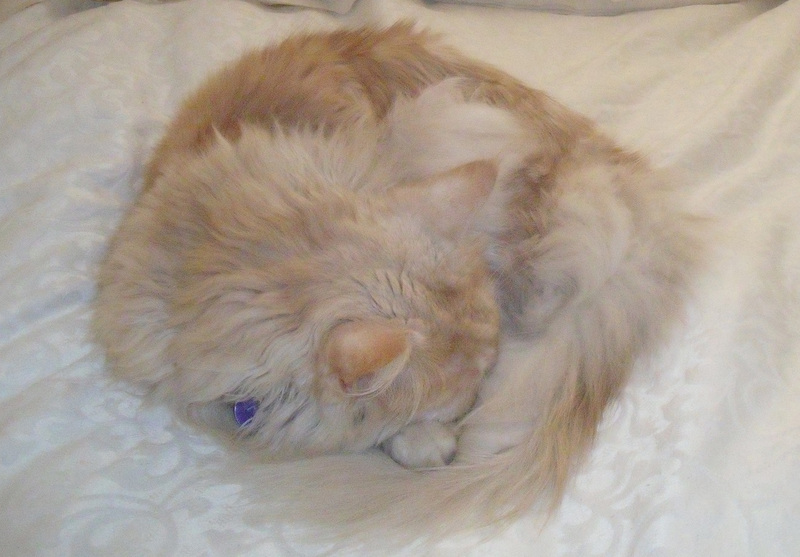 I tend to make circles somewhere in the vicinity of 6 -8 cm [2 – 3 inches] Next you will spiral cut into these circles. It’s important to understand that the narrower the gap between spirals the flatter the flower will be. 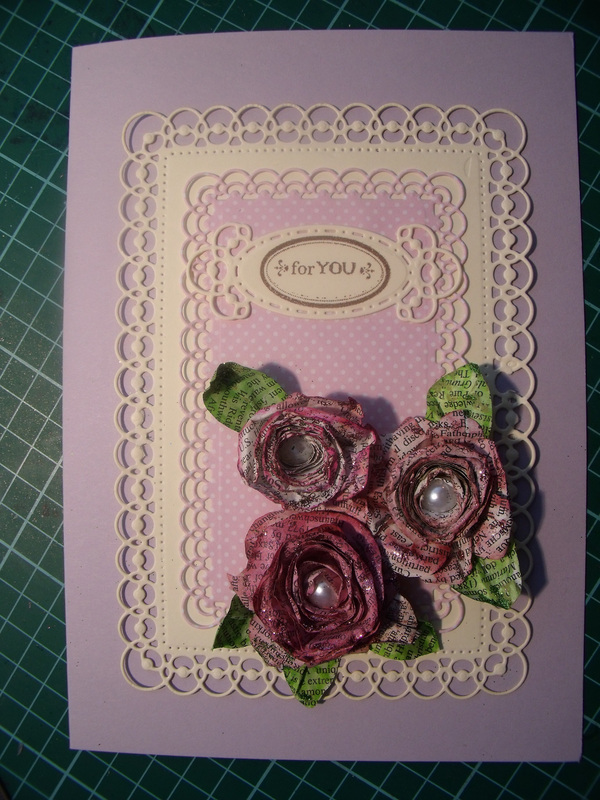 And it depends on how you want to use them – a high standing flower doesn’t work well on a card for instance, but looks great on a canvas…… I like to make my cut slightly wavy as it gives the top of the petal a more natural look. 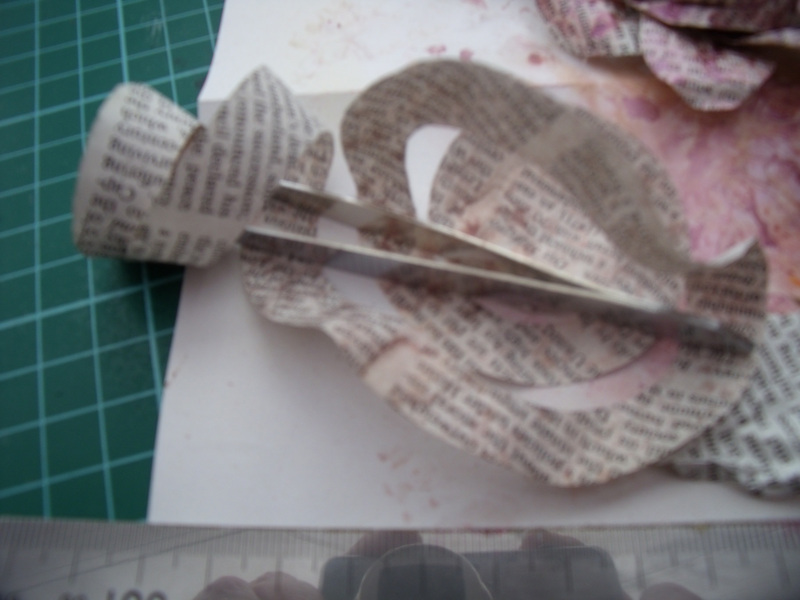 There will be a small circle left at the end of your spiral cut, this is the base of the flower. Using the tip of your tweezers grasp the outside edge of the spiral cut, with right side facing roll up the paper keeping the bottom edge as level as possible. I roll quite tightly then let the flower unroll a bit to find its happy place. I make a big pile of flowers up to this point – and I maybe cut out a few dozen petal/leaf shapes as well. For the next step I retire the TV and return to the play room. I hot glue the spiral cut flower to the base. Hot glue is best, it sets quickly before the flower can escape the shape you have chosen. 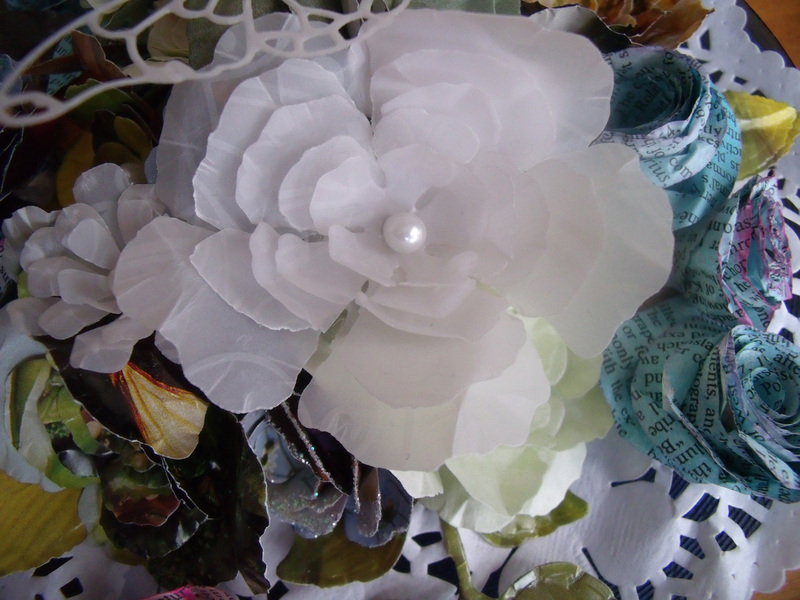 Lately I have learned to add an extra layer of ‘petals’ to the outside edge. I flip the flower over and, making a pleat in the bottom of each petal, I hot glue an odd number onto the base, overlapping as I go. Now I add colour. Sometimes I colour with a product like glimmer mist, but typically I use water based inks, swiping the pad along the top edge of the flower and outside petals quite strongly. Then I spritz with water. The ink will bleed and spread the colour. Don’t use too much water or you will have a soggy pile of wet paper pulp [yes, I’ve done it!] While the flower is still damp I like to use the tweezers and roll back the petals, especially on the outside of the flower. Denting, stretching and making little tears is all okay, it adds to the natural look. Leave the flower aside to fully dry. 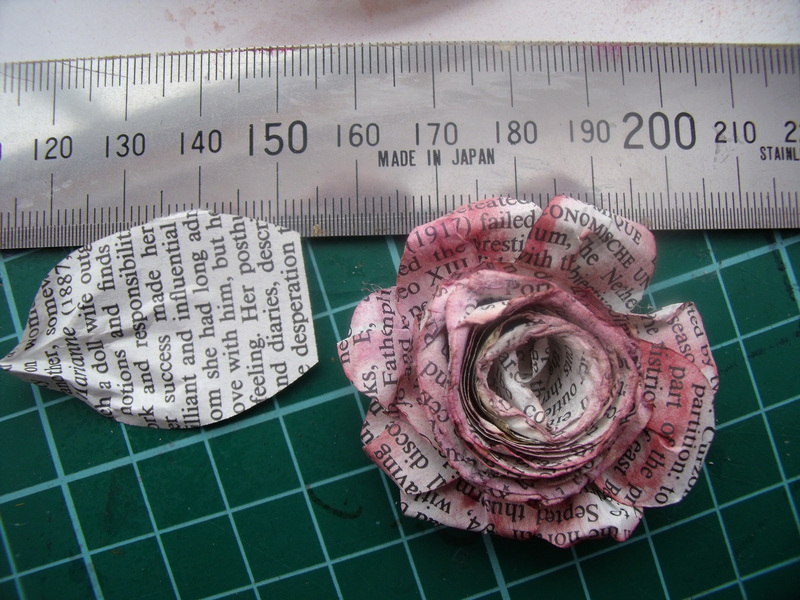 The flower on the left has had the extra layer of petals added, you can see the difference, right? Now I make leaves. I forgot to photograph this part. But it’s pretty easy. 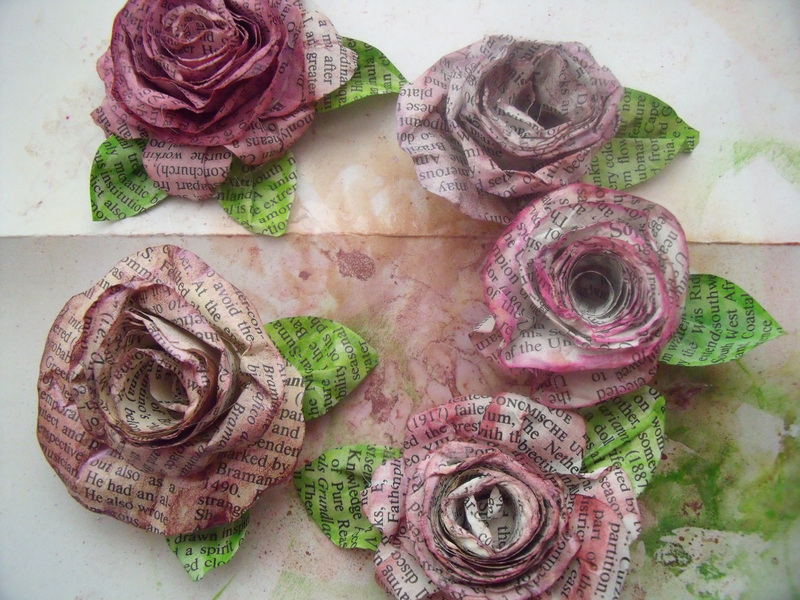 The left overs from the petals you glued on in the last step will now become the leaves. Next is the fun part. BLING! 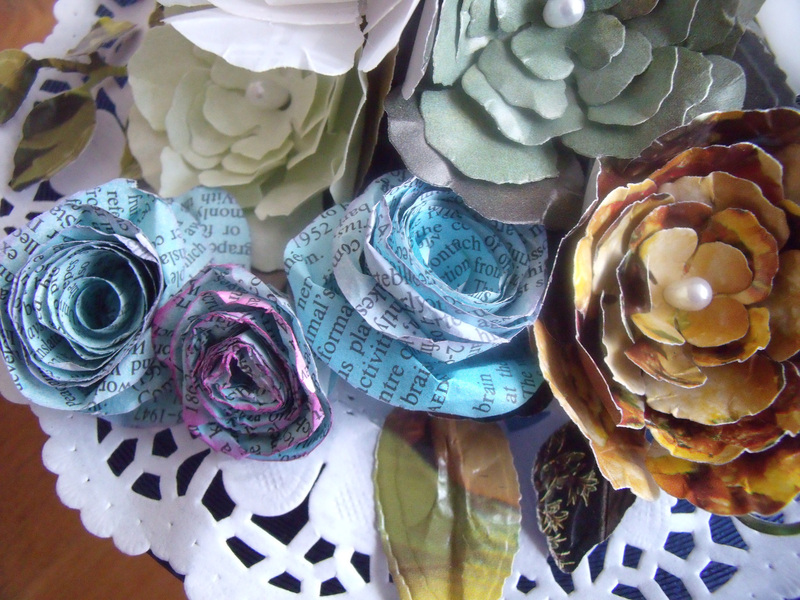 You can never have too much bling, even on book paper flowers….. So, wherever you are in the world, I wish you a good night – or a good day!! Any questions, please do ask ’em. Thanks for dropping by, love that you did!